The current trends in the South Asian nuclear rivalry are likely to make the U.S. crisis management role more challenging in any future crisis iterations, with no guarantee of success, but it is crucial that the U.S. remain engaged and try to prevent escalation. When terrorists from Pakistan killed seven soldiers at the Indian Air Force base in Pathankot in January, the world held its breath, hoping that the incident would not trigger yet another India-Pakistan crisis. The fear wasn’t far-fetched. Since India and Pakistan tested nuclear weapons in 1998, these bitter South Asian rivals have experienced one limited war and at least two major near-war crises. Fortunately, none of these crises escalated, in large part because of proactive U.S. crisis diplomacy that helped calm tensions. There is no other scenario that gives greater urgency to conflict prevention than the possibility of nuclear war. Unsettlingly, U.S. policymakers remain quite uncertain about how future India-Pakistan crises may play out, and what America’s role in them might be. Standard theories of crisis diplomacy do not provide much insight. This isn’t surprising, since third-party involvement in nuclearized crises between non-superpowers is a post-Cold War phenomenon—seen only in the India-Pakistan rivalry so far—and crisis dynamics in such a scenario remain rather vaguely understood. Though recent literature on nuclear South Asia acknowledges the U.S. role in crisis management, most analyses focus on Indian and Pakistani strategies and behaviors, reflecting bilateral deterrence models derived from the Cold War superpowers. A few analysts—including Bhumitra Chakma—have detailed America’s diplomatic interventions in recent India-Pakistan crises to claim that it prevented escalation (Chakma calls it “deterrence diplomacy”). Yet while the three-way crisis dynamic has been observed, it has not been systematically analyzed according to available theoretical frameworks. We need to understand not just what the U.S. did in these crises, but why and how a trilateral dynamic might be at work, and what this implies for future crises. Timothy Crawford’s pivotal deterrence theory—hitherto applied only to conventional, non-nuclearized contexts—offers a framework for analyzing efforts by third parties to avert war between rivals. The theory explains how a powerful third party (or “pivot”) can prevent war by making the rivals uncertain about how it would respond to a war between them. Moreover, the theory explains, non-superpower rivals will naturally seek to avoid alienating the more powerful pivot state and thus isolating themselves in a crisis, and this enables the pivot to employ diplomatic tools that deescalate the crisis and prevent war. The U.S. has involved itself as a crisis manager in nuclear South Asia without hesitation. While the modalities of its pivotal deterrence have shifted within and across the crises—generally coming down harder on Pakistan, but also serving clear notice to India that military action risked international isolation and possibly uncontrollable escalation—its interventions have consistently sought to deescalate crises as swiftly as possible. In the 1999 limited war at Kargil, where a mix of Pakistani regular forces and jihadi proxies had captured parts of disputed Kashmir under Indian control, the U.S. directly threatened Pakistan with isolation unless it withdrew unilaterally. In the 10-month military standoff in 2001-02, and during the crisis that followed the 2008 Mumbai terrorist attacks, the U.S. forced Pakistan to acknowledge the flow of terrorists from its soil into India and to take action against some of these actors. It used Pakistani acquiesce, momentary as it was, to placate India. In 2001-02, it also reproved a recalcitrant India that refused to demobilize its forces by issuing travel advisories that advised U.S. citizens to avoid India, risking investor panic. In all of these crises, neither India nor Pakistan was apt to escalate to general war without assured U.S. support (or, at least, acquiescence). Both sides sought to avoid isolation, and modified their statements and behaviors when confronted with the prospect—in ways that cannot be attributed to bilateral nuclear deterrence alone. 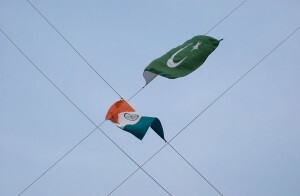 Even if bilateral nuclear deterrence exerts an underlying influence on Indian and Pakistani crisis behaviors—as it surely must—then trilateral pivotal deterrence should be understood as shaping their specific behaviors in these crises, and ultimately delivering the crisis outcomes: war limitation in 1999 and war avoidance in 2001-02 and 2008. The reasons why must be better understood by policymakers seeking to answer the million-dollar question: should, and can, the U.S. continue to play the pivot in future India-Pakistan crises? Admittedly, repeated U.S. involvement could create a moral hazard problem that incentivizes India and Pakistan to turn incidents into crises—with the express goal of eliciting favorable diplomatic intervention. On balance, though, we believe that American disengagement would be a worse response to future crises, given the stakes involved and the uncertainty of how India and Pakistan would act in the absence of Washington’s now-anticipated pivotal deterrence. But the future success of a pivotal deterrence policy won’t be automatic. The U.S.-Pakistan relationship remains difficult, and Pakistan may no longer see the U.S. as an even-handed broker. For its part, India too is dissatisfied with the U.S. inability to compel Pakistan to put a permanent end to anti-India terrorism, despite promises, and has signaled an ability to take swift, limited military action to punish Pakistan before the U.S. can step into a future crisis. Given these and other worrisome developments since the last major crisis in 2008, the future of America’s pivotal deterrence in nuclear South Asia may depend less on “isolation avoidance” and more on the other peace-causing mechanism that Crawford proposed, “the uncertainty effect.” That is, the U.S. should find ways, through pivotal deterrence, to reinforce bilateral deterrence: even more assertively leading India and Pakistan to fear escalation’s consequences, and not only the diplomatic fallout. Moeed Yusuf, director of South Asia programs at the U.S. Institute of Peace in Washington, D.C., is writing a book on U.S. crisis management in India-Pakistan nuclear crises. Jason Kirk is associate professor of political science at Elon University in North Carolina. 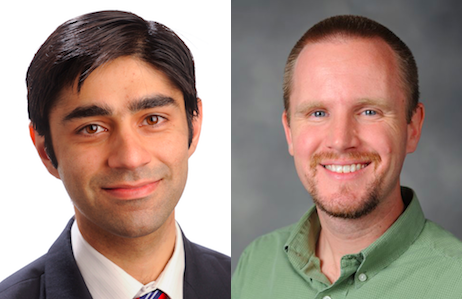 They are the authors of “Keeping an Eye on South Asia Skies: America’s Pivotal Deterrence in Nuclearized India-Pakistan Crises”, Contemporary Security Policy, forthcoming. It is available here.